Early morning our guide will pick you up for your private tour and take you first through the Argentinian border. 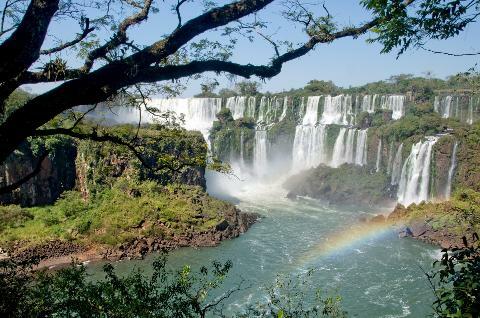 On the Argentine side are 75% of the 275 waterfalls of Iguazu Falls. 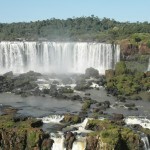 Arriving at the Iguazú National Park, the tourist is received at the Visitor Reception Centre. From there, a short walk in the park takes us to the station, to board a little train. The tour, inside the woods, is pleasant and takes about ten minutes. From there another 1 km walk takes us to the impressive Devil Throat. Back to the train, next station is ­called "superior ride" for paths between lush native forest. 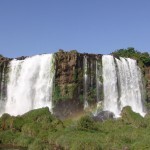 As the name implies, this part of the tour takes place over the falls, from where you have a fantastic view, fully and fairly close in several jumps Dos Hermanas, Chico, Ramirez and the grand Bosseti, among many others. 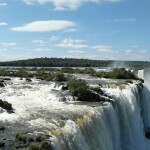 It also notes the San Martin Island, home to the spectacular jump San Martin. Take your time to discover the upper and lower trail and enjoy lunch at the Argentinian barbeque (not included). Private transportation and multilingual guide. Wear light clothing and comfortable sidewalks, preferably shoes with non­slip soles. 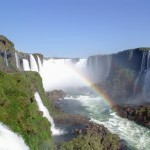 Argentina requires visa for citizens of certain countries - please check before booking this tour. 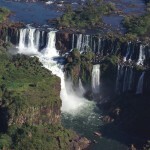 Explore Argentinian side of the astonishing Iguazu Falls to see one of the New 7 Wonders of Nature.